DETROIT, Mich., Dec. 7, 2016 – Michigan business leaders expressed growing optimism about future growth prospects of the state and national economies this quarter according to the latest quarterly survey of Business Leaders for Michigan (BLM), the state’s business roundtable. 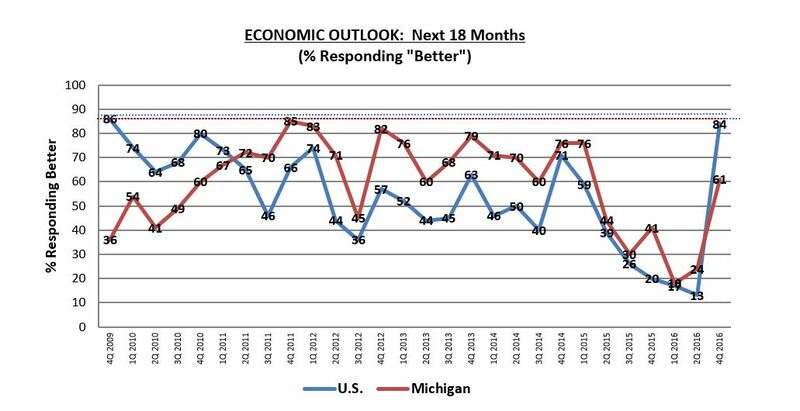 Next six months: Most business leaders believe the Michigan and U. S. economies will be the same or better over the next six months (62% and 82%, respectively). This is significantly higher than the September 2016 survey and, in fact, outpaces past projections. The U. economic outlook for the next six months increased by 74 percent during the past quarter—higher than at any point during the history of the BLM survey. The six-month outlook for Michigan grew 47 percent since Q3 2016 and is just three points shy of the survey’s all-time high at the beginning of 2012. Next eighteen months: For the first time since Q4 2009, 84 percent of business leaders believe the U.S. economy will improve over the next 18 months. Also, almost two-thirds (61 percent) of the respondents believe the Michigan economy will be better during the next 18 months. 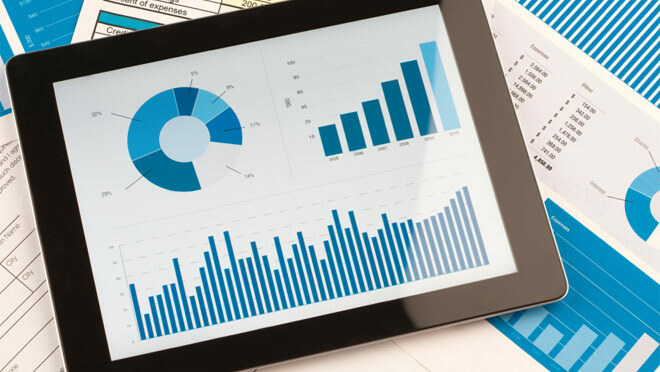 The survey also found almost half of business leaders project their companies will add jobs and more than half (69 percent) plan to make capital investments in Michigan over the next six months.